Thank you to our departing members: Sarah Alessio Shea, Laura Officer, and Pavel Yakovlev. This year StepTrek is partnering with Steppin Stanzas, a new performance arts project created to promote the use of Pittsburgh’s public steps and celebrate the city’s rich heritage, its diversity, and distinctive geography. 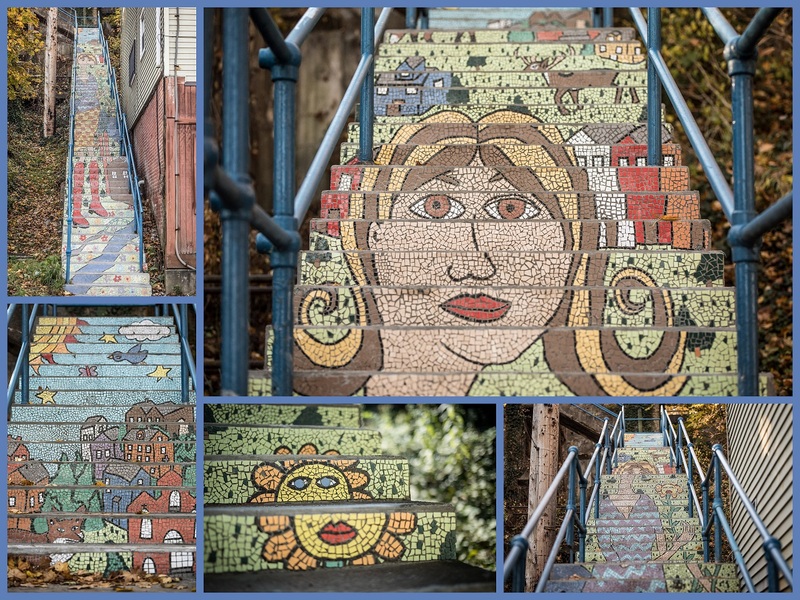 Steppin Stanzas co-founders and lead artists Paola Corso, a poet and literary activist, and Andrew Edwards, a poet and performance artist/translator will launch their project by creating original work inspired by city steps and performed along a StepTrek route this year. 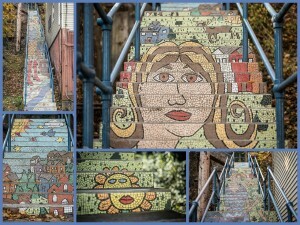 “We intend to use art and spoken word performances to draw attention to city steps and challenge the audience to see them in a new way,” Edwards added. Steppin Stanzas artists will perform poetry with music and movement at the registration area and during water breaks. “The South Side Slopes Neighborhood Association will provide the water. Steppin Stanzas will provide the words to help refuel trekkers as they finish the last leg of the two courses. They will already have climbed more than a thousand steps. We’ll cheer them on as they catch their breath and carry on,” Corso said. Corso is the author of six books of fiction and poetry set in her native Pittsburgh, most recently The Laundress Catches Her Breath, winner of the Tillie Olsen Award for Creative Writing from the Working Class Studies Association, and Edwards, who studied Spanish and creative writing at Ohio Wesleyan University with a focus in modern poetics, is the author of The Kobe Reality Series, a book of poetry based on his experience living in Japan. Corso and Edwards will collaborate with guest artists Aaron LeFebvre, an acoustic finger-style guitarist combining traditional and folk with modern sounds, and movement artist Daniel Dongilli for their Steppin Stanzas launch, which was awarded a Sprout Fund grant. In its 16th year, the Pittsburgh StepTrek will begin Saturday, Oct. 1, 2016 at 11AM at South Side Park (Josephine & 21st Streets) on the South Side. 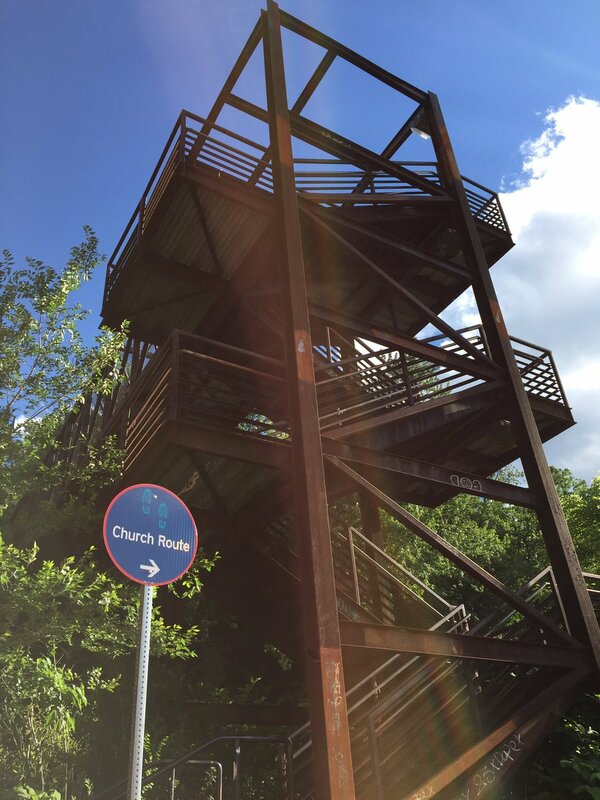 The event has lasted this long due to the backing of individuals with a curiosity as to what lies at the top or bottom of the numerous public stairs in the neighborhood. The routes will take a tour of the hillsides and spectacular views that distinguish Pittsburgh. The family-friendly event combines photography, historic narrative and a sense of a neighborhood dependent upon steps. Each pre-registered trekker receives a map and a course narrative. StepTrek is what the trekker makes it. Participants may choose to use this noncompetitive event as a test of fitness or a leisurely stroll. The benefits of a stirring walk through the Slopes have earned this event the heart-healthy rating of the American Heart Association. Special pricing makes the walk an attractive way to experience the city on an autumn afternoon. The Trek itself is self-guided. 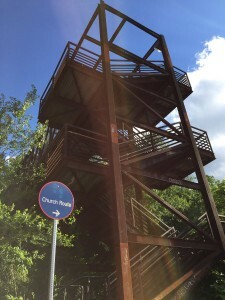 The course narrative points out the landmarks and gives a history of the stairs and buildings, counts the steps and also provides instruction as to the route. Arrows along the course provide direction as well. Proceeds from the StepTrek benefit the South Side Slopes Neighborhood Association (SSSNA), an all volunteer organization committed to improving this unique neighborhood and providing a unified voice for slopes residents. Primary areas of focus are public safety, neighborhood development and beautification. The Thomas Brown Alton Foundation is pleased to announce their 2nd WALKATOP event. The event, a hike through Mount Washington’s Emerald View Park, will be held on Sunday, September 11, 2016. Last year’s inaugural WALKATOP was a tremendous success and they look forward to continuing our focus on promoting mental health and suicide prevention. Check-in site in parking lot on Grandview Avenue opposite the Duquesne Incline and Coal Hill Saloon. Interested in Joining the SSSNA Board? The South Side Slopes Neighborhood Association (SSSNA) is looking for a few good men or women. The Slopes Association will have open positions for three or four new Board of Directors members in the coming election. Board members are seeking to “pass the torch” on to new residents of the Slopes who are engaged in their neighborhood and who will help their community to stay clean, green, safe and neighborly. The SSSNA is a 501 3c organization and the board members are volunteers. Residents of the Slopes who have attended at least two Slopes’ meetings from Oct 2015 to July 2016 are eligible. 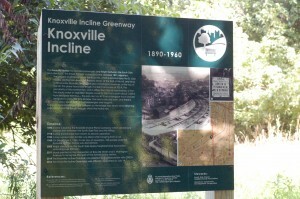 From 1890 to 1960, the Knoxville Incline served as a connector between the South Side Flats and the hilltop. In 2011, a mural was added at the intersection of Brosville and East Warrington Avenue to remember the historic site. 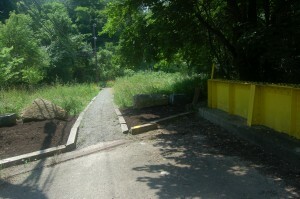 There is a foot trail accessible off of Brosville Street which leads to the Welsh Way stairs and Fritz Street – which both connect to the South Side Flats. The South Side Slopes Neighborhood Association worked with the Hilltop Alliance, Allentown CDC, and GTECH Strategies to revitalize this area and establish the Knoxville Incline Greenway on the site of the old incline. The groups worked together to add signage, replace graffiti tagged jersey barriers with natural boulders, add benches, and plant wildflowers. From the benches, you can see a view of Oakland. 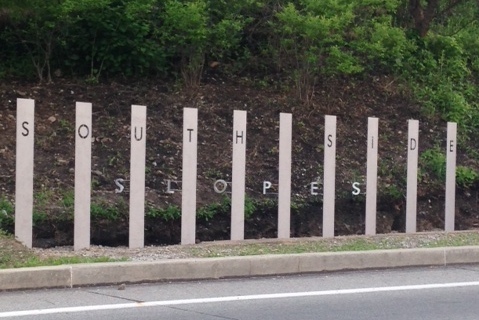 The South Side Slopes Neighborhood Association (SSSNA) is pleased to announce the completion of a unique entrance marker reflecting the uniqueness of the neighborhoods it announces. The signage has been erected on PJ McArdle Roadway on the corner of Windom Street. A grant from the now-defunct South Side Local Development Company (SSLDC) made the project possible. Loysen + Kreuthmeier interns, Jonathan Tomko and Mary Waelder played a huge role in seeing the idea become a reality. Credit also goes to the following: the City of Pittsburgh’s Department of Public Works for removing a power pole and repositioning traffic signage; to the U.S. Postal Service for their promise to relocate the relay mailbox; and to Standard & Custom for their expert fabrication and installation services. Do you live in the South Side Slopes? If so, South Side Slopes Neighborhood Association wants to know what you think about our neighborhood! Please take 5-10 minutes to complete our online survey, and you can be entered to win a $50 gift card to Giant Eagle!